People want to protect their privacy online, but some are not certain about how to do that. Others might know how to do it, but the process can be tedious and time consuming. 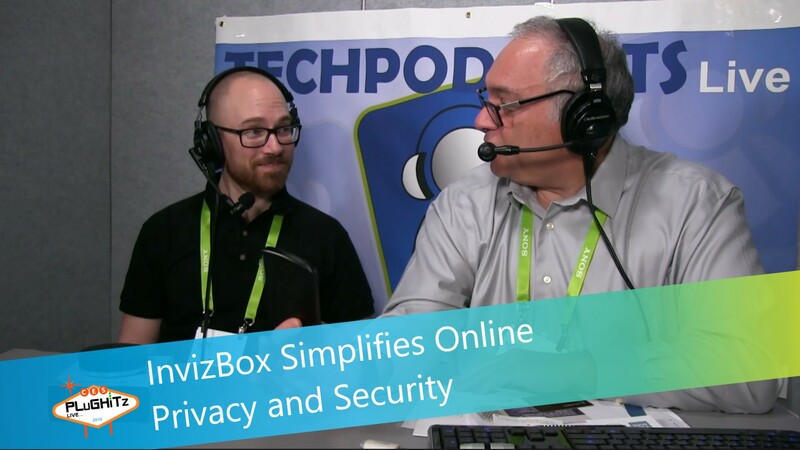 InvizBox makes a variety of products to help people keep their privacy online. Don spoke with Paul from InvizBox at CES 2018. InvizBox makes products that are easy to use for cyber security and privacy protection. Connect your phone, laptop or other device to any InvizBox product over Wi-Fi and all your internet traffic is encrypted before it is sent across the internet. InvizBox will take care of the rest. InvizBox Go can be used at home, abroad or on public Wi-Fi anywhere in the world. In addition to functioning as a VPN, an ad blocker and a Wi-Fi hotspot extender, it also functions as a power bank so you can charge your phone. The InvizBox 2 and InvizBox Pro connect to your home router. Simply connect your laptop, phone, smart TV and other devices over Wi-Fi or a wired connection and all of your internet traffic will be encrypted. InvizBox Go is available now. The price ranges from $199 to $279 depending on how many months of VPN you want to purchase. InvizBox 2 is priced at $149, and InvizBox 2 Pro is priced art $219. Each comes with 12 months of VPN. It is estimated that those products will start shipping in April of 2018.